Except for a few kayakers, the Nantahala river is relatively quiet in the Fall. But an event planned for mid-September 2013 will be unlike anything the river has ever experienced. 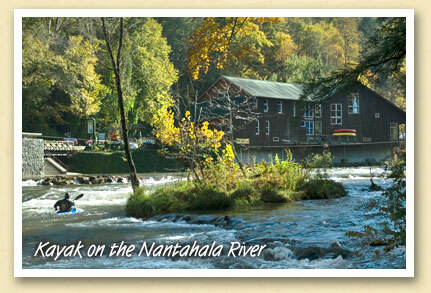 That’s when the Nantahala Gorge hosts the World Freestyle Kayaking Championships. The event will attract up to 500 paddlers from forty to fifty countries and thousands of spectators to the Bryson City area. The Gorge was selected by the International Canoe Federation, the sanctioning body for all world championship and Olympic canoe and kayak events. The Nantahala will also host a Junior World Cup Freestyle event in 2012 as a test event for the World Championships in 2013. To compliment the 2012 World Cup on the Nantahala, two other World Cup Freestyle events will occur in the Southeastern United States during 2012. The Nantahala Gorge has been home to several national slalom championships over the years, but this high-profile event solidifies the area’s status as a paddling destination.